Acoustic covers have never been more popular, but few of the artists behind them have a story as intriguing as this. Taking inspiration from the mythical Greek character Cyrene, a huntress who bewitched Apollo, the Bristol-based project gives familiar songs new meaning through intricate re-imaginings in the style of British folk legends like John Martyn and Nick Drake. 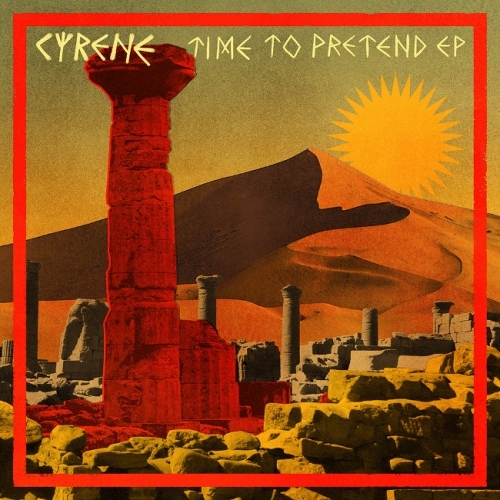 This gorgeous cover and title track to Cyrene's debut EP is a chilling interpretation of MGMT’s Time To Pretend that makes the candid lyrics more casually cruel. The mysterious singer, whose identity has yet to be revealed, first appeared late last year with a mesmerising take on Chris Isaak’s Wicked Game which featured on playlists including Double J’s Chilled Covers and Acoustic Covers, and led the Sunday Times to praise the haunting music and ambitions of the project. The EP was produced and mixed by Ali Chant (Gruff Rhys, Perfume Genius, This Is The Kit) while its eye-catching artwork, imagery from the lost city of Cyrene, was created by Thom Yorke collaborator RUFFMERCY. Further support for the singer has come from 6 Music and Radio 2, plus publications including Mojo, as well as tastemaker blogs from across Europe and the US like London In Stereo and Stereo Fox. With a second EP all ready to be released later this year, it looks like we have plenty more time to enjoy her music and work out who this singer is.